While The Scourge Project was a game we anticipated with uh, a lot of anticipation, we were quite disappointed by the final product. At it's core there was some really great ideas and concepts there, but the game was marred by an overall lack of polish. Still there was some fun to have in the game's four player co-op modes. Today Tragnarion has announced the first patch for the game, hopefully fixing up some of those bugs and nuances that turned us off. We have the full list of fixes below.. 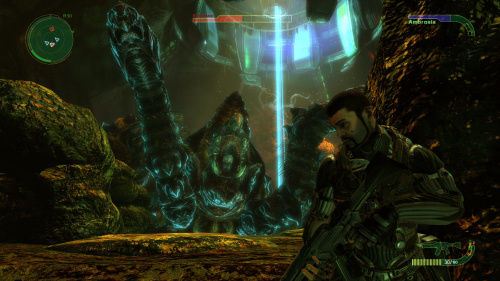 The Scourge Project is still set to hit Xbox Live Arcade sometime this year. Resolved some issue reported to occur with Gamepads / Microsoft Xbox controllers and Grenade Launcher use. Offensive ability will launch automatically when hold threshold is reached. This makes it faster to be used. Defensive will be deactivated with any release despite the duration of holding the button. Dedicated servers for versus matches (Death Match, Team Death Match, Capture The Flag and Frontier). Page created in 0.2849 seconds.